Congratualtions to Dr. Yutaro Kurogi on starting his new work at the National Institute of Science and Technology Policy (NISTEP) next month. He has worked diligently as a University Research Administrator (URA) in the URA Promotion Office and IROAST. We wish him the best of luck! 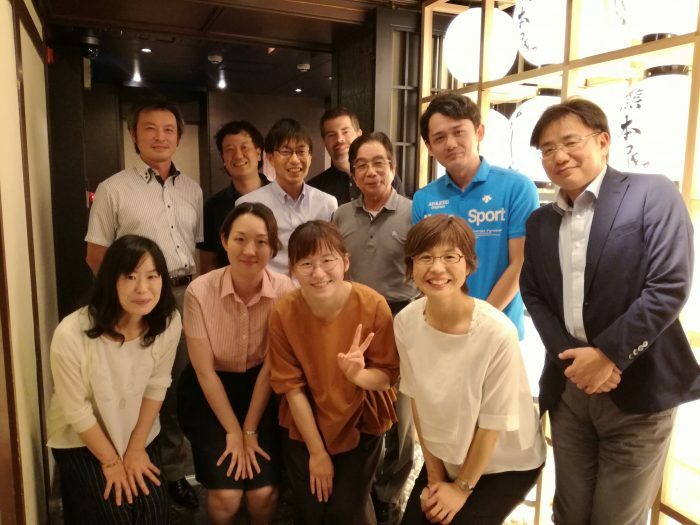 Kurogi san in the blue shirt, farewell gift from everyone!